The midterms are not over in North Carolina's 9th district. 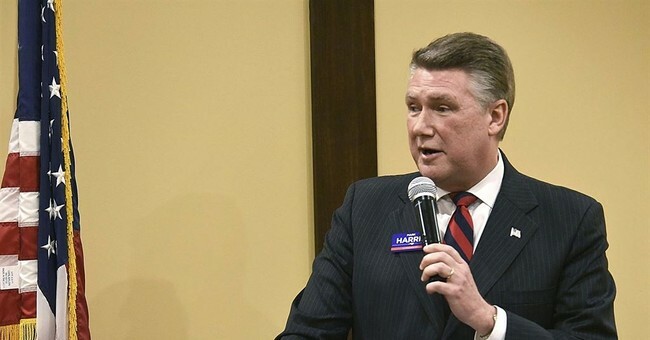 Mark Harris currently has 905 more votes than Democrat Dan McCready in the congressional race, but state officials are hesitant to certify the results after Democrats are accusing their opponents of voter fraud. Some Virginia Democratic lawmakers want a congressional investigation into the matter. "Votes have been stolen by preying on senior and minority voters, and now a cloud of doubt and suspicion hangs over this election result," according to Rep. Gerry Connolly, who sits on the House Oversight and Government Reform Committee. He's calling for an emergency hearing. As for Harris, he insists he supports an investigation into voter fraud, but that it won't change the outcome. He added that the State Board of Elections should "act immediately" and certify the results because "anything else is a disservice to the people of the Ninth District." Make no mistake, I support any efforts to investigate allegations of irregularities and/or voter fraud, as long as it is fair and focuses on all political parties. There is absolutely no public evidence that there are enough ballots in question to affect the outcome of this race.